Welcome to Clwyd Transport Services Ltd, highly successful providers of Specialised Bulk Transport in the Quarry and Waste Industry. 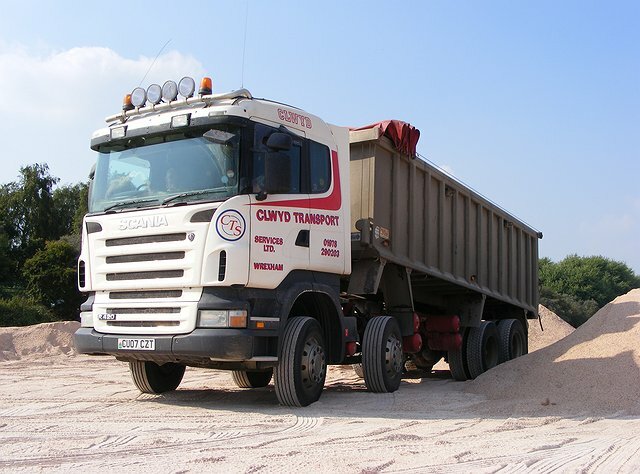 Clwyd Transport Services Ltd is owned and managed by Paul Jones and began in 1987, operating with a small number of trusted owner-drivers moving quarry products. With a complete commitment to delivering on time and providing customers with the service they expect, demand for our services has grown as has our range of services. At present we move in excess of 1,000,000 tons per annum of numerous materials including all types of contaminated soils and wastes using our large fleet of specialised vehicles. We have earned a reputation for providing a quick and cost effective response to our customers needs and as a result we have built up a large fleet of specialised, modern vehicles. We embrace modern technology and business management methods in conjunction with modern methods of communication to provide us with national coverage, 24 hours a day, 7 days a week. Our quality service is supported by our dedication to quality assurance methods earning us the internationally recognized standard for quality management in 1992 with registration to ISO 9001:2008. In 2008 we moved our headquarters to new modern offices on Wrexham Industrial Estate to accommodate our growing customer base and dramatic growth in trading. We now have a team of 40 associated drivers, a nucleus of who work exclusively for Clwyd Transport Services Ltd and reciprocal arrangements with other reputable haulage companies.